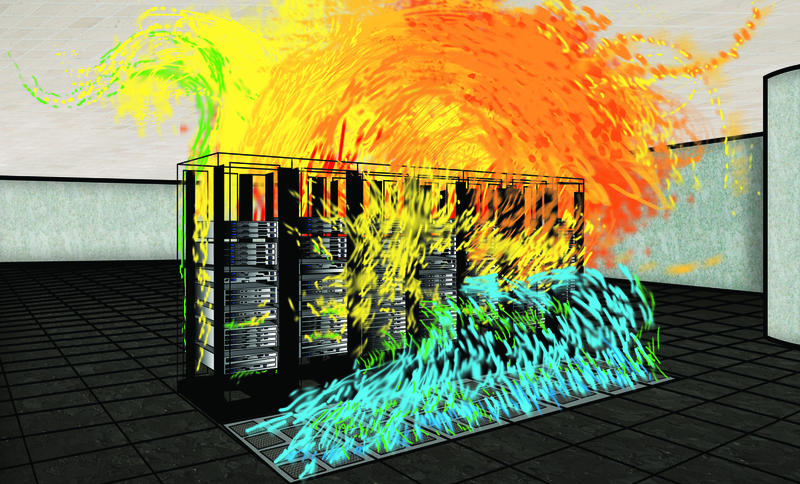 There is no question that cold aisle containment is one of the most effective ways to increase cooling efficiency, and thus energy efficiency, in data centres and server rooms. According to BITKOM, Gartner and the best practice recommendations of the EU Code of Conduct for Data Centres, you can potentially reduce energy consumption by up to 30% if the cold aisle is completely separated from the warm aisle, a practice known as cold aisle containment. This prevents the cold air generated for cooling the rack hardware from mixing with warm exhaust air which would gradually increase the temperature and can only be counteracted by increasing the output of the air-conditioning units. What sounds simple and plausible in theory is often not as easy to put into practice structurally: even though many standard solutions for aisle containment can be installed easily, quickly and relatively affordably in a homogenous environment with the same rack dimensions or types, conditions like these are actually extremely rare in reality. Most server rooms have evolved over time to form a diverse rack landscape with different manufacturers, dimensions, heights, positions and gaps in the individual rack rows. Daxten now offers individually customised and scalable solid aisle containment solutions for exactly these kinds of environments. The modular solid containment system is made of lightweight and translucent roof panels with special attachments and vertical panels that can be seamlessly adapted to racks of every height and width. The roof panels are easy to open for routine maintenance or to work on the overhead infrastructure and then closed again so that everything is air-tight. The start and end of every rack corridor is lined with self-closing doors. These run over top and bottom door glides that compensate for different floor heights and are equipped with sealing edges to prevent cold air from escaping or warm air from getting into the aisle containment system. If need be, a mechanism which can be integrated into the attachment profiles of the roof panels upon request, ensures that the roof structure automatically lowers at a temperature of approx. 65°C (150°F) so that the sprinkler system can spray extinguishing agent to all critical areas including the inside of the contained cold aisle. 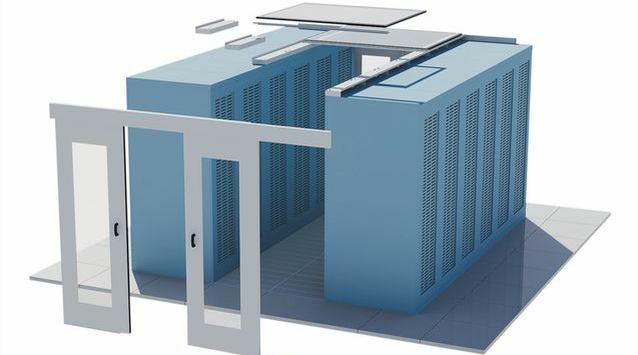 If a data centre environment relies on a fire containment and gas suppression system, the containment structure with the air-tight rubber inserts on the connections of the individual panels and the heavy aluminium profiles of the roof elements have proven to be a decisive advantage: thanks to the density of the containment solution, the oxygen cannot escape from the cold aisle in the event of a fire and allow the fire to spread. In addition, extinguishing gas can draw oxygen from the air and quickly and effectively contain the fire. Existing fire protection and prevention systems can be integrated using mounts on the roof panels. By partitioning off the cold aisle with a Daxten Solid Cold Aisle Containment solution, the pressure of the cold air increases in the cold aisle. The cool air is thus optimally distributed and reaches all active components at every height in the rack to provide the best possible protection against system malfunctions or failures and considerably extends hardware service life by creating constant environmental conditions. Even in the event of a total failure of the cooling systems, the containment system offers reserve cooling capacity of up to 35 minutes before heat-related failures occur. Enough time to fix the problem with the cooling systems. Cold aisle containment prevents the hot air exhausted by the hardware from recirculating back to the cold aisle and mixing with the cool air which is why the output of the cooling systems can be reduced. 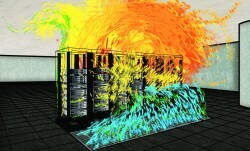 In addition, the entire data centre no longer has to be cooled, only the contained cold aisle. This allows for a general increase in the ambient temperature in the data centre. According to the rule of thumb determined by Gartner and BITKOM, every additional degree Celsius in the data centre considerably reduces the output of the cooling system and represents energy savings of 4 to 5 per cent. The bottom line: there are realistic potential energy savings of between 20 and 30 per cent over environments without cold aisle containment.